A key element of the 2012 Strategic Plan was enrollment growth, and continued, modest growth in undergraduate and graduate enrollment of both the undergraduate and graduate student bodies1 remains a priority in the final five years of the Strategic Plan. Such growth is essential to achieving the University’s stated mission to become a premier, student-centric, technological research university on par with peers such as Carnegie-Mellon University and Rensselaer Polytechnic Institute. There are four key reasons why the institutional growth envisioned by Stevens’ Strategic Plan is both necessary and beneficial. Societal and economic impact: Growth will further fuel the local and global economies through the production of technology talent. Technological innovation and commercialization are among the most important drivers of economic growth. A 2005 report of the National Research Council cited research showing that in the half-century following World War II, improvements in technology accounted for half of all growth in gross domestic product in the U.S. and about two-thirds of all growth in productivity. A study published by the National Academies in 2005 suggests that the share of economic growth attributable to technological innovation may be as high as 85 percent. Research has shown that start-up companies that emerge from university research labs tend to cluster disproportionately around the institutions from which they emerge. Strengthening the University’s capacity to generate additional technology talent for the region’s and the nation’s technology-based industries, to create new businesses, and to commercialize research into viable new ventures, are important aspects of Stevens’ contribution to the economy and to society. Increased footprint and reputation: By “right-sizing” the University’s academic programs and research, we will achieve critical mass and maximum impact in areas of importance and societal relevance. 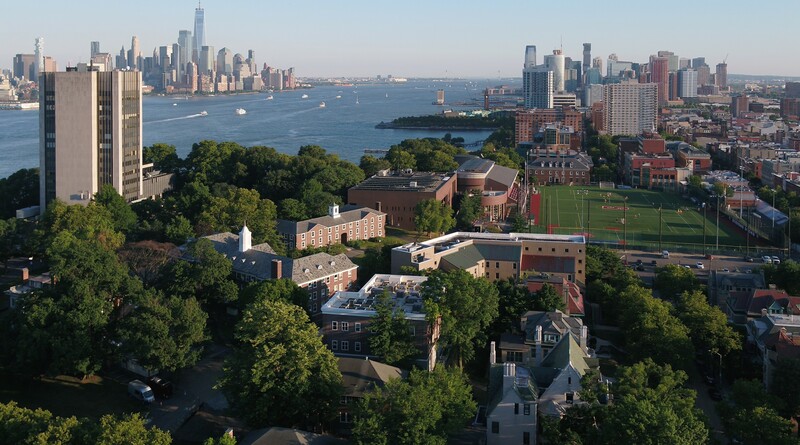 Through expansion and strategic investment (enabled by growth) in critical domains, Stevens will be able to develop the reputation as a world-class technological university that contributes to the solution of the 21st century’s most vexing challenges. Financial stability: Enrollment growth strengthens the University’s financial profile, and therefore its long-term viability, competitiveness, and impact, by achieving optimal economies of scale. As a non-profit organization with little state or federal aid, Stevens must run an effective and efficient operation. Increasing the student population while holding nearly constant some of the fixed costs allows Stevens to invest in its future and effectively compete with public universities and private universities with much larger endowments. Besides the growth in enrollment, the University will develop a more successful and comprehensive strategy to grow the endowment in order to reduce the dependence on tuition. Increased opportunity and mobility for students: Increasing enrollment allows Stevens to address increased demand by students and families for proven STEM (science, technology, engineering, and mathematics) education programs. Applications to Stevens have increased more than 130 percent to both undergraduate and graduate programs in the last six years) due, in part, to the job growth in technical fields and the tremendous outcomes of Stevens’ graduates. The U.S. Bureau of Labor Statistics reported that growth in STEM jobs is expected to continue to outpace growth in non-STEM jobs over the next decade. For the Class of 2016, 96 percent of Stevens graduates have accepted a job offer or entered graduate school within six months of graduation. STEM graduates earn higher salaries at entry level and mid-career than all other job categories, and almost all of the highest paying majors are in engineering fields. STEM talent drives private sector growth, and STEM graduates are the highest wage earners of all categories. Further evidence of this benefit to society is illustrated in the chart below. A recent study, entitled, “The Fading American Dream,” covered in a January 2017 article in The New York Times, elucidated the declining probability that later generations will make more money and have a better life than their parents. The trend, overall, is downward—children born in 1940 have a 92 percent chance of earning more than their parents, but for children born in 1982 this chance dropped to 50 percent. Notably, Stevens was ranked #1 in the overall “mobility index”—the likelihood of moving students up two or more quintiles in the economic scale—among 71 “highly selective” universities. This remarkable result is a reflection of the type of student who joins Stevens and the effectiveness of a Stevens education. 1Undergraduate enrollment is expected to grow 28 percent to 4,000 students (currently 3,115) and graduate enrollment by approximately 14 percent to 4,000 students from Fall 2016 to Fall 2022.